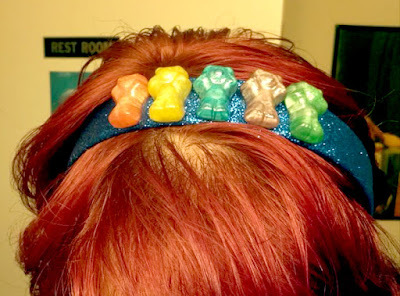 Rock Resurrection Art : Get your own gummy bear headband! Get your own gummy bear headband! The custom gummy bear headband has sold, but I can make more just like it! Contact me at beccajs@gmail.com to get your custom order started!